9002106 Count Dooku Watch is a Star Wars: The Clone Wars watch released in 2011. This is a description taken from Amazon.com. Do not modify it. (visit this item's product page) Beware Enemies Of The Sith! Another Apprentice Has Joined Our Ranks! 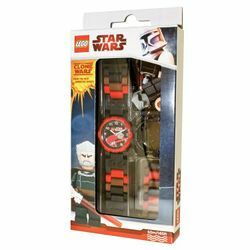 Any Budding Star Wars Fan Will Welcome This Fantastic New Star Wars Watch From Lego! Featuring The Infamous Count Dooku In Exacting Detail On The Watch Face, Combined With Its Easy To Read Numerals And Watch Hands Will Make Any Apprentice A Master Of Time Telling In No Time! 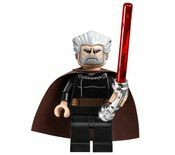 Facts about "9002106 Count Dooku Watch"
This page was last edited on 9 January 2016, at 22:31.